In September 1978, I lived with my father on a farm in the vicinity of Shawano, Wisconsin which is very near the Menominee Indian Reservation. 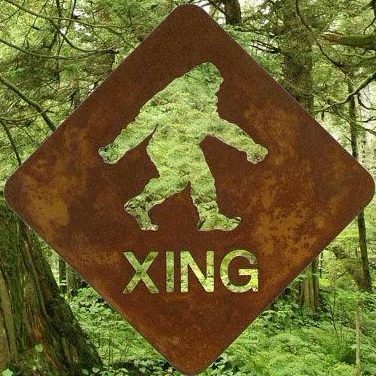 There had been some buzz within the community of an unknown large hairy creature spotted by two deer hunters not far from our farm. I had heard stories of the Manabai’wok or ‘The Giants’ from stories told by the Menominee, but I just considered these tales to be legends. Then one evening, my father and I were coming home from the store and noticed what appeared to be two hairy creatures collecting squash from the garden. Each creature was at least 6 foot tall. It was dusk but there was enough light to clearly see what they were doing. My father immediately cut the headlights and stopped the car as we just sat there and watched them pick and eat the squash. They didn’t seem to even notice us, even though we were about 100 feet from them. After about 5 minutes, one of the creatures looked in our direction and you could see it’s eyes glow red from the moonlight. We started to get scared and decided to make a dash for the house and call the police. Then suddenly, a huge disc-shaped objects appeared above us and slowly moved towards the east field which was about 200 hundred yards from us and landed. I estimate the craft was about 40 feet in diameter. A large sliding door opened immediately and a foggy green light glowed from within the craft. After a few seconds, the door closed and craft slowly rose and shot off towards the north. Then we noticed that the creatures were gone.